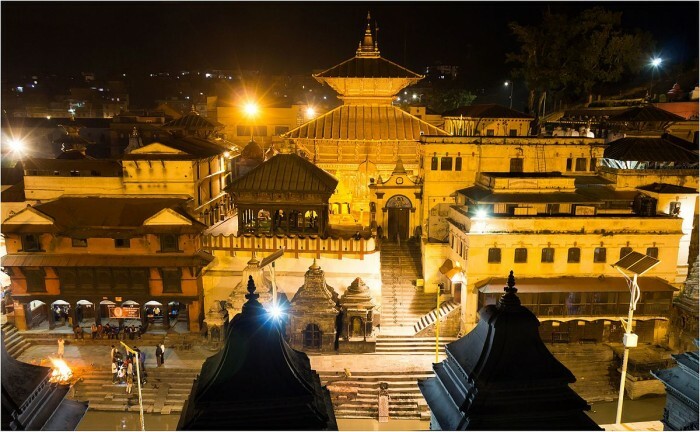 The famous holy Temple of Hindus – Pashupatinath. 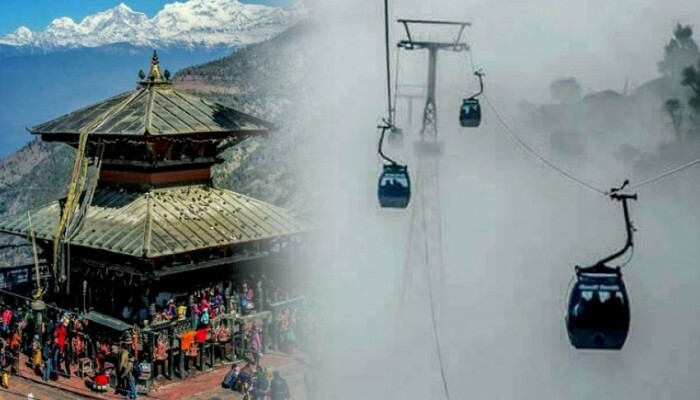 Nepal’s first cable car riding. Pokhara – City of Paradise. Mahendra cave, Phewa Lake, Barahi Temple in Pokhara. Pashupatinath, Manakamana, Pokhara and Muktinath Tour is a combined pilgrimage Yatra tour of Lord Shiva Pashupatinath, Goddess Bhagawati Manakamana and a sacred place Mukti Kshetra called Muktinath. And also Pokhara valley which is rich in natural beauty and famous for adventure. If you are planning for a pilgrimage tour for Pashupati Nath Darshan Yatra, our journey will take you to the city of Kathmandu which houses more temples than homes. Pashupatinath Temple is Located in the heart of Kathmandu. Pashupatinath is one of the seven heritage sites of Kathmandu, and is the largest hindu temple. The Pashupatinath Temple is one of the most important religious sites in Asia for Shiva Devotees. This is two-tiered golden temple having four silver doorways, hundreds of shiva linga’s shrines and holy symbols. This temple is located in the bank of holy river Bagmati, 6 km east of Kathmandu. Only Hindus are allowed to enter this Temple. There is a belief that this temple was built long before the Christian era begin. The Pashupatinath Temple was built in the fifth century and later renovated by Malla Kings. Manakamana Temple is believed as Goddess Bhagawati an incarnation of Parbati. Manakamana is also considered as ‘wish fulfilling’ goddess. The word Manakamana literally means HeartWish, ‘ Mana= Heart and Kamana= wish’ . Most of the hindus and buddists devotees from many countries come here to worship and also to enjoy the natural beauty. It is situated in the Gorkha district and on the way to Pokhara. There is a well-managed cable car to reach and back from Manakamana Temple. Manakamana Cable Car service is first cable car service of Nepal. Manakamana is venerated since the 17th century, it is believed that Goddess Manakamana grants the wishes of all those who make the pilgrimage to her shrine to worship her. Pokhara is the second largest populated city of Nepal and considered as no.1 adventure and leisure city. In pokhara you can experience the best in trekking, boating, pony rides, paragliding or simply relax at one of the lakes near the city with stunning Annapurna Mountain Range at the background. 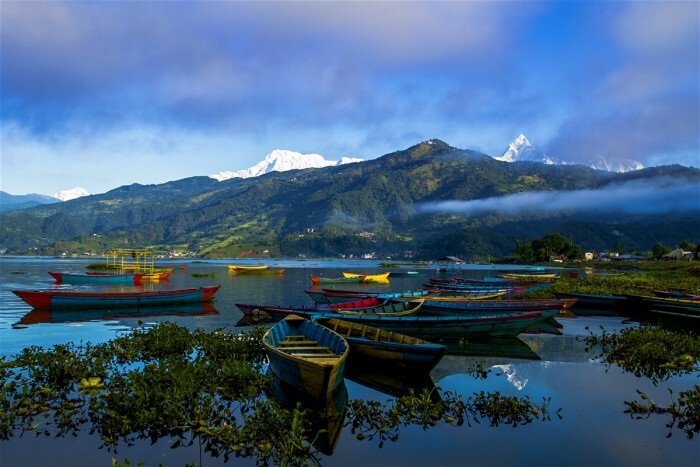 Pokhara will overwhelm you with one of the greatest photo spot. While you walk along the shores of Fewa lake, you’ll find yourself surrounded by a panoramical view over thee Himalayan peaks of the Annapurna massif that reflects in this lake. Pokhara has also developed as an adventurous destination in the last decade, offering everything from ultralight flying to paragliding, and from skydiving to bunjee jumping. You can experience thrills and adventure in Pokhara. Muktinath the 5th Dham (pilgrimage) of the Hindus, is located in Mustang (mountainous district) of Nepal. Muktinath ‘place of liberation’ is as Shakti Peetha- Daksha Yaga and Sati’s Self immolation. This is the holy temple worshipped by both Hindus and Buddhists devotees. 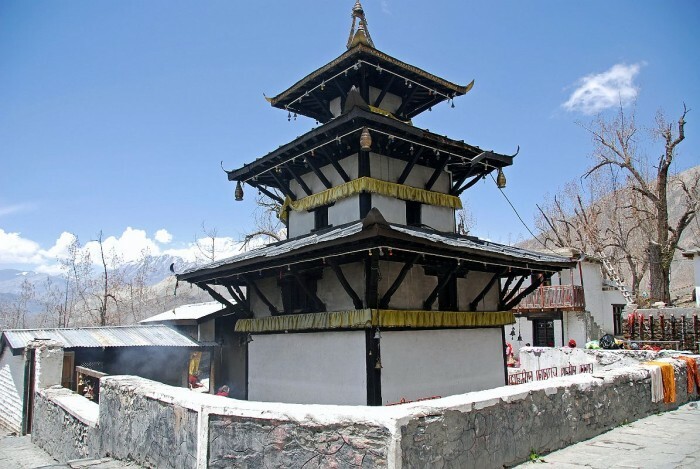 This temple is located at the altitude of 3,710 m. Muktinath Temple is considered to be 106th among the available 108 Divya Desam ( premium temples) considered sacred by the Shri Vaishnava. Devotees from different countries visits this temple for the liberation of their soul. Cable car cost and Ticket booking. Expenses due to extra activities than mentioned in itinerary. Alcoholic, cold and Hot Drinks. You will be warmly greeted in Tribhuwan International Airport by our representatives and transferred to your hotel. Introduced to our guides who will give you important information about the trip. Overnight stay in Kathmandu. After having breakfast, sightseeing in Kathmandu- visit Boudhanath, Soyambhunath, Patan Durbar Square and Pashupatinath. Back to hotel in the evening and Overnight stay in Kathmandu. Drive from Kathmandu to Kurintar (304m/997ft) by Private Vehicle (takes 3-4 hours). We’ll reach one of the famous temples of Hindus worshipped as Goddess Bhagawati- The Manakamana Temple (1,292m/8,900ft) by Cable Car and visit the Temple. Back to kurintar by Cable Car. And Continue the journey to Pokhara. Overnight stay at Pokhara. After breakfast in early morning sightseeing starts in Pokhara city. We will visit Mahendra Cave, Devis falls, International Mountain Museums, Gorge of Seti Gandaki river, Phewa Lake and Barahi Temple. Back to hotel in the evening. Overnight stay at Pokhara. After having breakfast in Pokhara, we’ll fly to Jomsom. We’ll reach in the hotel within few miutes of arrival. After having lunch at Hotel we’ll start our trip to Muktinath Darshan. Today we will get the chance to worship one of the famous temple of Hindus and Buddists. Explore the Kunda and the 108 spouts that are believed to wash away one’s bad deeds. Also, get to the Jwala Mai Temple and Mhame LhaKhang Gompa. We’ll return the Jomsom following the same route. Overnight at Jomsom. After having breakfast at Jomsom, we will be back to pokhara by morning flight. We will spend some hours at Pokhara city and Drive back to Kathmandu after having lunch in Pokhara. At evening we’ll reach to Kathmandu. Overnight stay at Kathmandu. Day 07: Kathmandu- departure day. You will be dropped to the Tribhuwan International Airport by our representative to board your flight.